Top San Francisco home builder, Signature Homes, offers high-quality building options and the latest in energy saving amenities. From ENERGY STAR® appliances to sustainable flooring, this 2010 Builder of the Year provides the tools needed to promote green living. Every Bay Area home is made with the aforementioned amenities in addition to high-efficiency toilets and low VOC paints. These homes offer reduced levels of pollution, green house gases and are less dependent on finite energy sources. Buyers of Signature Homes not only promote health in the environment, they also save money by investing in homes equipped with environmentally conscious elements. These elements improve residents’ quality of life as they save energy and money. Build It Green has come alongside Signature Homes to ensure that every home is constructed with environmentally conscious materials. The builder constructs new homes in several Bay Area and Sacramento communities with features such as elegant kitchens, ceramic tile flooring, granite slab countertops and Whirlpool appliance packages in addition to their energy saving construction. Signature Homes has built over 6,000 homes in more than 70 residential communities in the Bay Area and Sacramento region with no end in sight. Thousands of buyers have become part of the Signature Homes family and with new plans on the horizon, there will be many more to come. 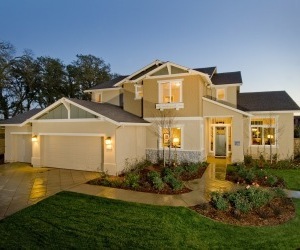 Signature Homes has sought to combine the environmentally conscious elements of green building with sophisticated design in each of its unique Bay Area homes. These energy saving amenities provide homeowners with energy renewable homes that are both affordable and luxurious. For more information about Signature Homes or its communities, visit the website. This entry was posted in Energy Efficient, Featured, News and tagged bay area homes, energy efficient homes, green building, san francisco home builder, signature homes on November 8, 2011 by admin.